TALK ABOUT a gala-going gang! From the sound of things, one would think all we did around here is go to galas. There’s one every weekend. You hadn’t noticed? Well, many community volunteers have. Pictured at the University of Houston-Clear Lake Alumni Celebration are UHCL Associate Vice President Dion McInnis; Distinguished Alumni Douglas W. Hiser Jr. and Juan Manuel Traslaviña; Outstanding Professor Associate Professor of Psychology Kim Case; Distinguished Alumna Cris C. Daskevich; Outstanding Professor Associate Professor of Legal Studies James C. Benson; Early Achievement honoree Mitali Paul; and UHCL President William A. Staples. It all started with the UH-Clear Lake Alumni Celebration Oct. 6, followed by the Bay Area Houston Ballet & Theatre’s Serendipity Ball Oct. 13, the Clear Lake Area Chamber 50th anniversary Celebration Oct. 19, and the Special Spaces Houston Gala Oct. 27. 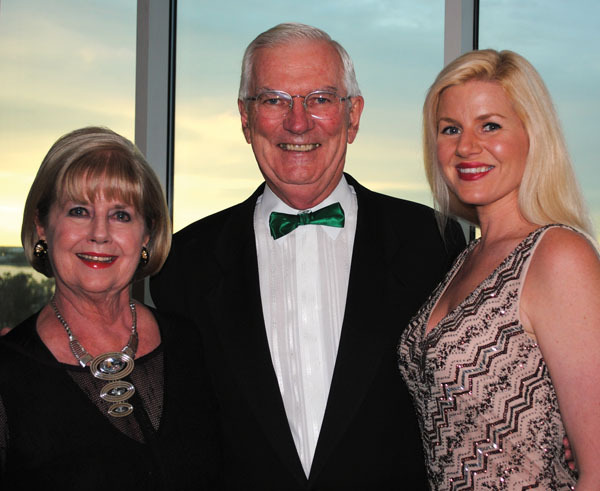 A new month brought the tuxedos and ball gowns out again the following weekend, Nov. 3, for the Clear Creek Education Foundation’s 20th Anniversary Gala, followed the next week by the Bay Oaks Women’s Association’s annual celebration Nov. 10. Not to be outdone, the wee set launched their gala season Nov. 17 when the Bay Area Houston Ballet hosted the annual Breakfast With the Sugar Plum Fairy. 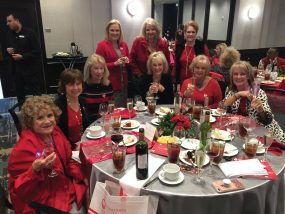 And, in between all the weekend activities, we also had the Clear Lake Panhellenic Fall Fashion Show luncheon, Space Center Rotary’s Shrimporee and numerous other events. And, we still have the holidays ahead. Mercy! 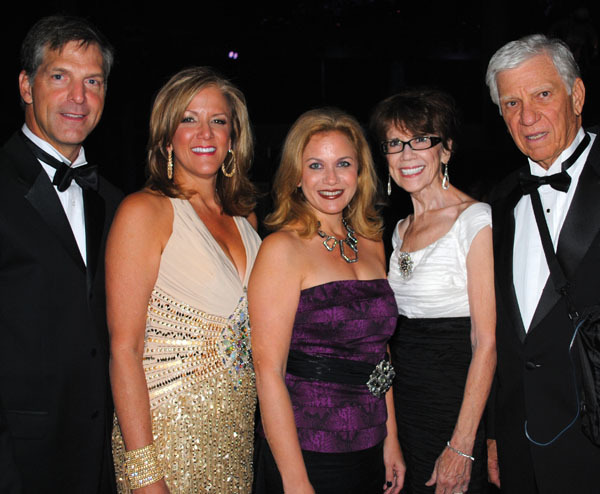 Special Spaces Houston Gala Chairman Kristy Tankersley and her husband, Jon, left, stop for a photo with her sister, Kim Krueger Butler of Plano, and her parents, Martha and Coach Bill Krueger as the inaugural gala gets under way at Space Center Houston in Clear Lake. THE SPECIAL SPACES Gala, a fundraiser for Special Spaces Houston, is new this year. Founded just a year ago by Kristy Krueger Tankersley, its volunteers work to brighten the lives of children with life-threatening illnesses. 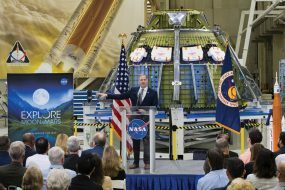 Now its director, Kristy was joined by Co-Director Tracy Clause, Rick Gornto and Phil Pampolina as they welcomed guests to Space Center Houston. Then Kristy tagged up with her husband, Jon; her parents, Martha and Bill Krueger; and her sister, Kim Krueger Butler, who came from Plano, for dinner. While Tracy joined her husband, Richie, and Rick and Phil joined their wives, Janice and Ginger. Among those celebrating the success were Rusty and Dr. Brenda Hellyer, Jill and Dan Reason, Jan and Dr. Brent Bailey, Tisa and Dr. Mitch Foster, Peggy and Jerry Clause, Ann and Jim O’Malley, Charlene and Herb Miller, Cecil and Judy Ferguson, Dana and Nelson Brown, Alice and Lou Marinos, Linda and Michael DeMasie, Patty Rodgers, Greg and Annette Allen, Kristin and Cliff Rankin, Linda and Dr. Larry Goodman, Renee and Judge Louie Ditta and Barry and Lyla Nettles. Others in the crowd of more than 250 enjoying the great evening were Paul and Mary Kay Gaido, Tom and Marie Sharp, Sonya and Dr. Jeff Moore, Jerry and Trisha Gunn, the Richard Risingers, Bud and Cathy Giesinger, Lynn and Gary Smith, Laura Johnson, the Vance Hughes, and Lauri and Dr. David Gordon. Plus, Renee and Judge Louie Ditta, Alicia and Ken Phelps, Kelly and Butch Sheehy, Paul and Natalie Dolan, Alex and David Gaudiousek, Kathie and Derrell Curry, Barbara and Richard Visser, Jerry and Kate Foyt and Kim and Scott Krist. Citizen of the Year Dr. James O’Malley arrives at reception preceding the Clear Creek Education Foundation’s 20th Anniversary Gala with his wife, Ann, left, and their daughter, Melissa Zieger of Palo Alto, Calif. 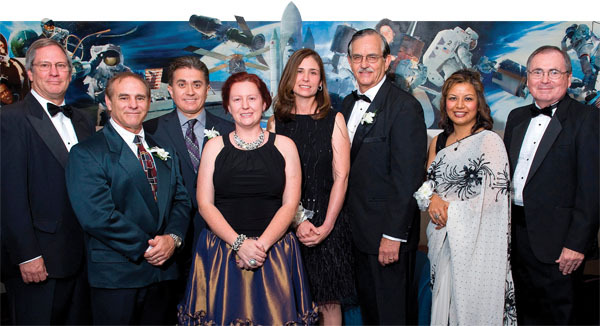 THE CLEAR CREEK Education Foundation hosted still another great evening as it celebrated its 20th anniversary at South Shore Harbour Resort Nov. 3 while honoring nine outstanding individuals. They were Citizen of the Year Dr. James O’Malley, George Carlisle Award winner Lisa Holbrook, Valor Award winner Brian Escobedo, Superstars and Rotary Teachers of the Year Jennifer Foley and Nicola Clemmer; and Outstanding CCISD Alumni Cindy Harreld, Susan Witty Hayes, Scott Krist and Dr. Lloyd Potter. Gala Chairman Annette Snow Falks and Co-Chairman Dinah Matthews and their husbands, Ernie and Joe, joined CCEF Chairman Scott Rainey and his wife, Martha Bowles, in welcoming the black-tie crowd of about 250 that included League City Mayor Tim Paulissen and his wife, Ann; Galveston County Commissioner Ken Clark and CCISD Superintendent Greg Smith and his wife, Kathy. They were soon joined by Judges Holly Williamson and Louie Ditta and their spouses, Dr. Danny Williams and Renee Ditta; attorney Joe Barlow and his wife, Jeannette; Dickinson Mayor Julie Masters and her husband, Maxim Insurance President Ron Masters, who was the top bidder on a trip to Aruba; attorney Pat Monks and his wife, Annette Dwyer; and Barbara and Hometown Bank Senior VP Mike Duckworth. And, CCISD Trustees Ken Baliker, Dee Scott, Charles Pond, Robert Davee, Ann Hammond and Paige Rander. Attorney Scott Krist and his wife, Kim, enjoy the reception preceding the Clear Creek Education Foundation Gala. Plus, CCEF Executive Director Doug Frazior, Icon Bank President Jim Stewart, Galveston County Clerk John Kinard and his wife, Chris; attorney Ron Krist and his wife, Carole, sitting with daughter-in-law Kim Krist and grandchildren, Garret and Makenna; Clear Lake Chamber President Mike Furin and his wife, Tracie; architects John Haugen and Mike Porterfield and their wives, Norma and Cindy; bankers Mike Duckworth and Mike Huss and their wives, Barbara and Mimi. Others joining the celebration were Herb and Charlene Miller, Charles and Kathy Harland, Alice and Lou Marinos, who joined Jim and Ann O’Malley and their daughter, Melissa Zieger, who came from Palo Alto, Calif.; former Seabrook Mayors Gary Renola and Bob Robinson and their wives, Elaine and Carol, Norma and John Haugen and Mike and Beth Dennard. 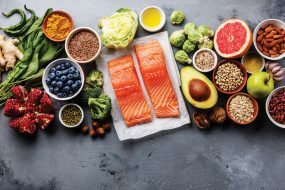 And, Randy and Janet Brown, Jerry and Nancy Smith, Joe and Robin Mayer, Angela Jenkins, Anita Fogtman, Bill and Katy Bastedo, David and Kim Barker, Curt and Vicki Tallman, Madeleine and Santiago Mendoza, Kevin and Ruth Rendon Duke, Gene Hollier and Emmeline Dodd and Cindy and Slade Lewis. Eric and Ondi Lyon prepare to welcome the arriving crowd at Bay Oaks Women’s Association Elvis party. ELVIS WAS in the house and Bay Oaks Country Club was really rocking as members of the Bay Oaks Women’s Association hosted their annual gala. But instead of dazzling gowns and tuxedos, this crowd was all decked out in poodle skirts and jeans for a lively night of dancing the jitterbug that was popular back in the late 50s and early 60s, when many in the crowd were teeny boppers. Just ask Jim and Jane Sweeney, John and Becky Reitz Gay, Sharon and Bill Lowes, Marilyn and Glynn Lunney, Ed and Elinor Walters or Jerry and Peggy Clause, who were among the dozens who filled the dance floor to overflowing – jiving to the many great Elvis Pressley tunes they all grew to love over the years. 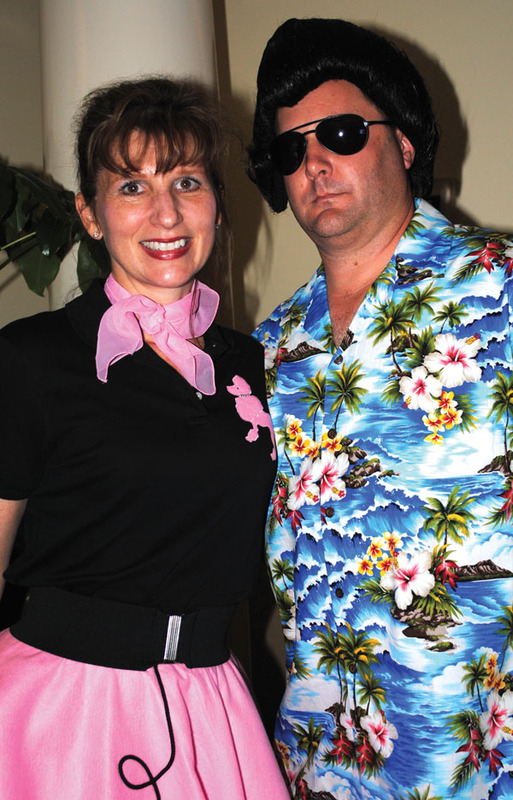 Chairman Ondi Lyon, dressed in a pink poodle skirt, arrived with her Elvis look-alike husband Eric, and joined BOWA President Terri Divine and her husband, Michael, in welcoming Richard and Jennifer Simmons, Scott Lyon and Stacy Davis and Michael and Sharon Phelps. Other faces in the crowd included Russ and Mary Colombo, Kenneth and Betty McElvain, Jay and Courtney Atchley, Tandy and Jo Kat Bruce, Pat Monks and his wife, Annette Dwyer, Jack and Danele Buehler and Sharon and Dr. Howard Dillard, to name a few.